I have four day’s of kiddie snacks for you. 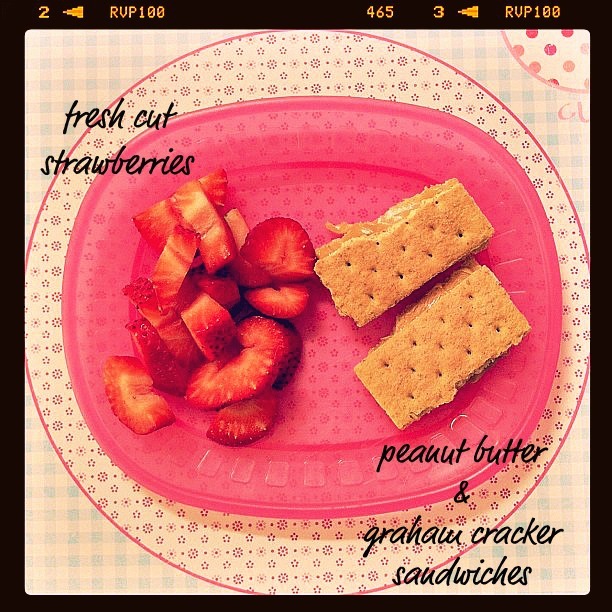 This was a very busy week so coming up with creative snack ideas was a little challenging. Once or twice per week, after M wakes from her nap, we go to the grocery store. 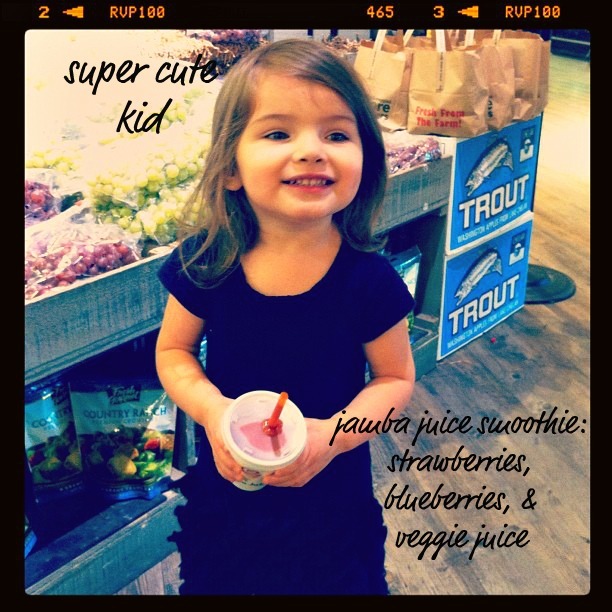 There’s a Jamba Juice inside the store so if the timing is right, we split a smoothie for her afternoon snack. I always order a 16oz all-fruit smoothie and have them split it into two small cups. 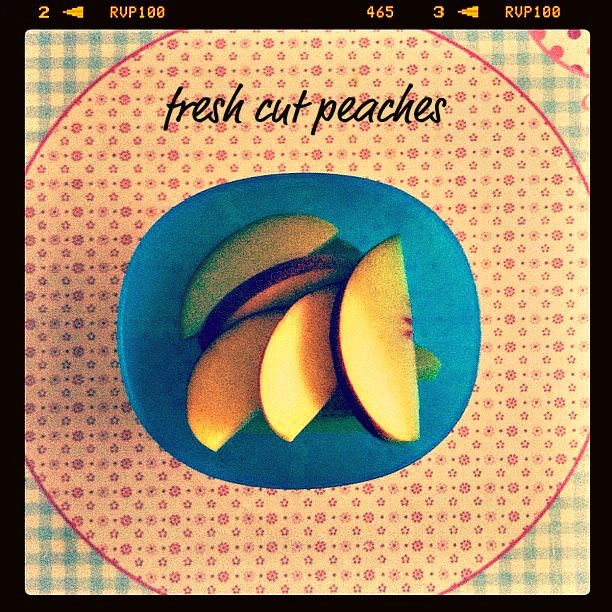 These little cups are the perfect portion size for little hands. Plus, M loves having a cup all to herself :). I’m loving these! Thank you so much! 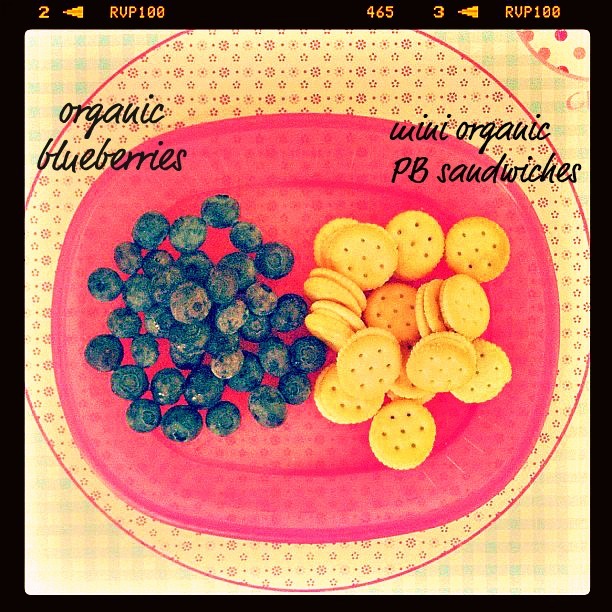 Do you have any “on the road” snacks that you like…I would be interested in a post on that! M is SO cute and you are so inspiring! And I like the exclamation point!